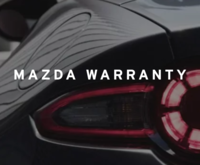 As Melbourne’s premier Mazda SUV dealer and SUV Central, here at Brighton Mazda we pride ourselves in our knowledge and expertise on all things SUV. Australian’s have a thirst for SUV’s and this year SUV sales are predicted to eclipse passenger vehicles! 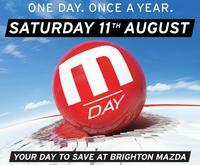 Whether you’re looking to make the switch from sedan to SUV or if you’re ready to set up into a bigger SUV, Brighton Mazda has a wide range of vehicles to suit a variety of needs and budgets. From a compact SUV to zip around town and take to the beach, or a luxury SUV with tonnes of room, the Mazda SUV range has a model to suit you. Like all Mazda the full SUV range is stylish both inside and out, encompassing Mazda signature Kodo – Soul of Motion design. But choosing between the different models can be tricky, there’s a lot to know about each model in each range! So to make it easier we've outlined the full range of Mazda SUVs in one place, with all features and price points. 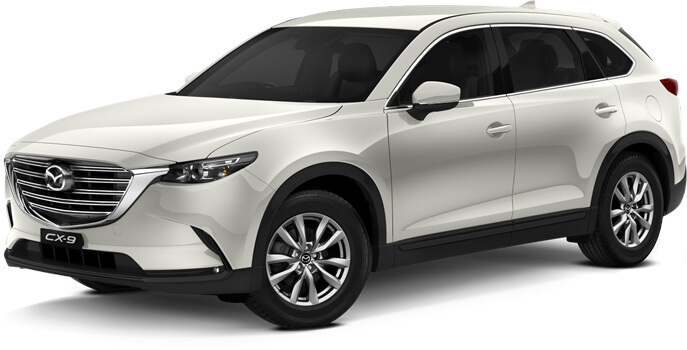 In this post we outline the features of Mazda's full CX range so you can make the right choice. The most compact of Mazda’s SUV range, CX-3 is the perfect small SUV, equally suited for the trips to the beach as it is around town - it’s the perfect little car. Available in front and all-wheel drive, petrol and diesel, Mazda CX-3 provides an excellent driving experience at a competitive price. The Mazda CX-3 range is wide, opening with NEO front wheel drive at around $23,409 for a brand new vehicle, to Akari Deisel all-wheel drive at $39,199 drive away. Available in: Petrol or diesel, front and all-wheel drive, manual and auto. Mazda CX-5 has a strong reputation as the king of Medium SUV’s in Australia. Easy on fuel, stylish looks, advanced safety technology and a stylish interior set the Mazda CX-5 apart from the pack. 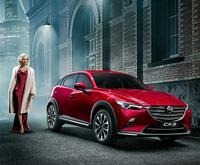 Like its junior the CX-3, the Mazda CX-5 range is extensive with models in FWD, AWD, petrol and diesel. CX-5 comes with some serious good looks thanks to Kodo – Soul of Motion that creates an athletic and powerful aesthetic. The new generation of Mazda CX-5 arrives in Melbourne early April 2017, so expect great deals on runout 2016 models and an incredible new 2017 design. Available in: 2.0L and 2.5L Petrol, FWD, AWD, manual and auto. Leather Wrapped Gear Shift Knob, Handbrake Handle and Steering Wheel. Rear-View mirror with Auto Dimming function. Available in: AWD, auto, diesel and petrol. 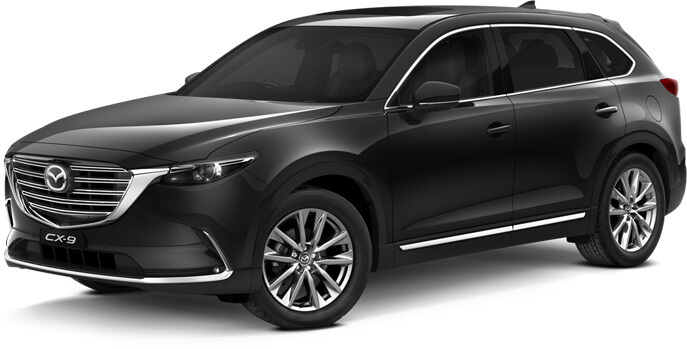 The Brand-New Mazda CX-9 offers unequalled style and sophistication in the family and SUV segment. CX-9 comes with all the features you expect from a large luxury Mazda SUV; seven seats, quality finish, superb craftsmanship, stylish design, the latest technology and safety features. The CX-9 has a range of models in petrol, all-wheel drive and front wheel drive and is arguably Mazda’s most luxurious, feature-packed SUV. Available in: Petrol, AWD, FWD, manual and auto.